A sinter plant takes fine ore and other materials, and fuses them together to produce sintered ore for use in blast furnaces. Roughly speaking, a sinter plant can be divided into four parts: raw material mixing system, sinter machine, sinter cooler and sinter screening system. 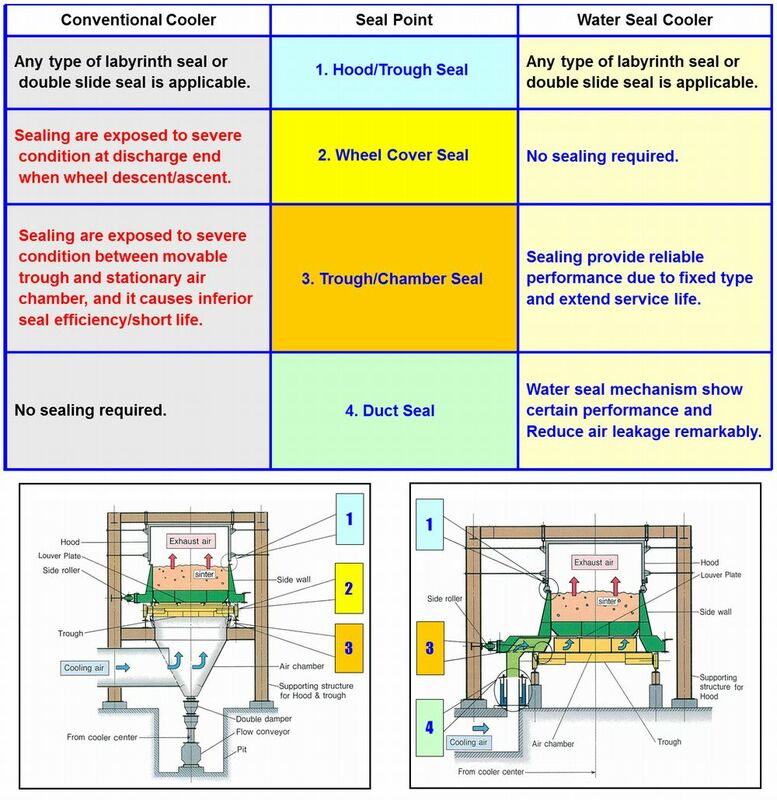 This is a water-sealed cooler, which improves upon conventional rubber air seal type coolers. 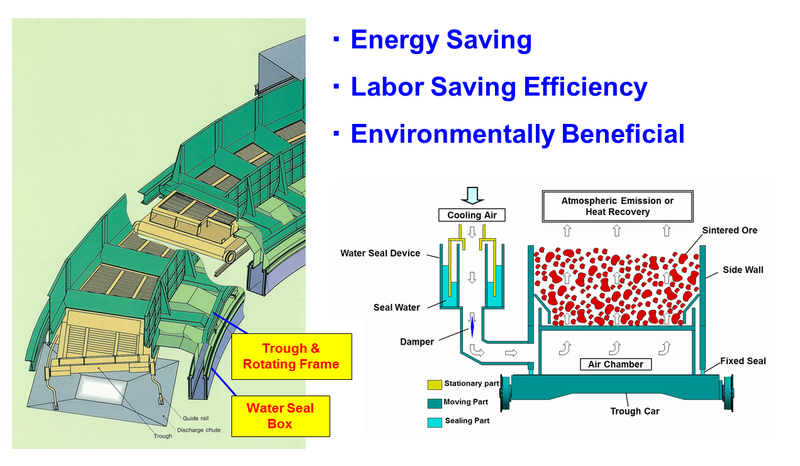 The adoption of a water seal has enabled a significant decrease in air leakage. This has reduced the amount of air required for cooling to two-thirds of a conventional system, thereby making it possible to keep running costs low. 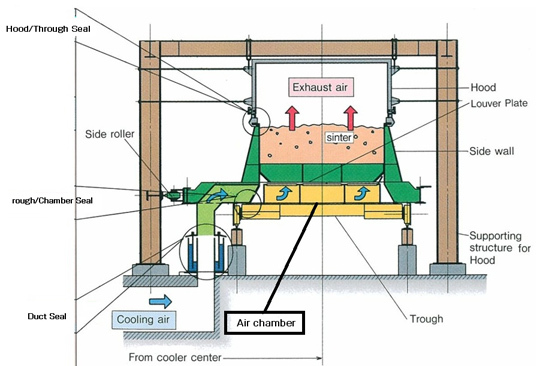 The air chamber is built into the trough, significantly reducing dust generation, and making it possible to maintain a clean environment.